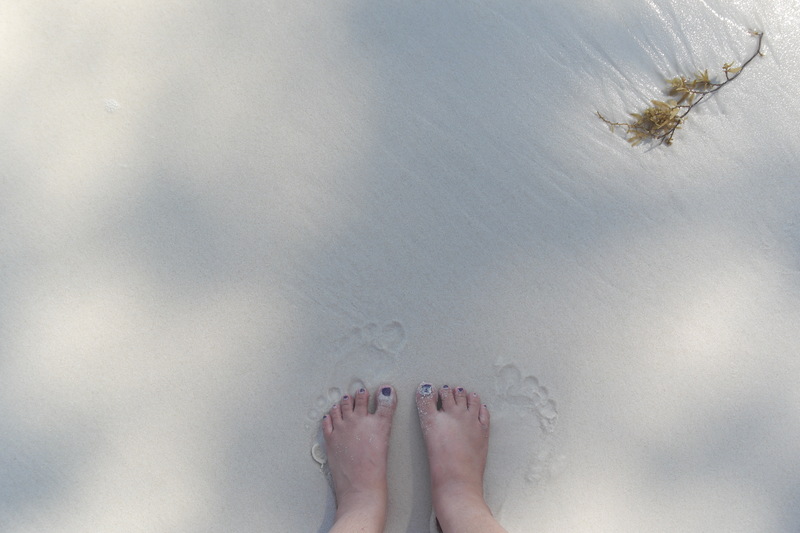 Koh Rong Sanloem is calling! 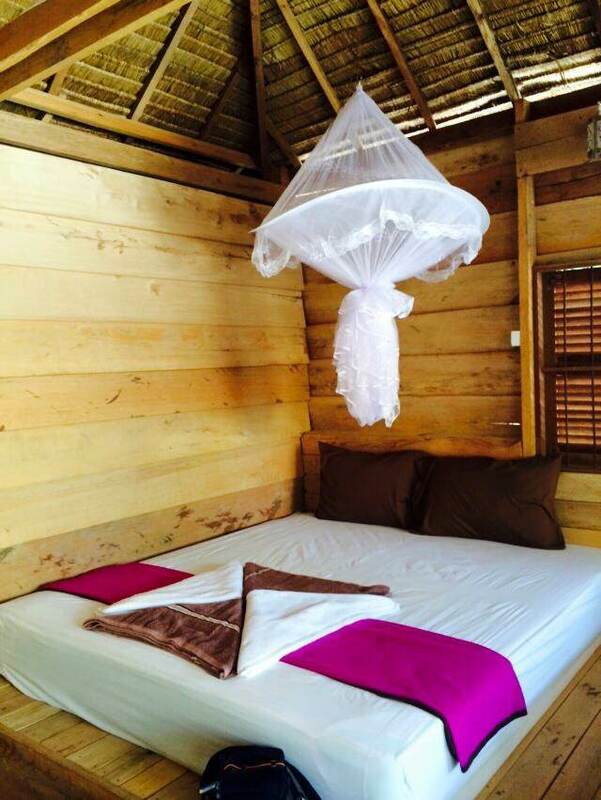 Want your own piece of paradise this summer in Cambodia? You do not need to travel far to these white beaches where sometimes crowds are thin to non-existent, the sea waters crystal clear, and the sands bright white. The New Year’s Day observed on January 1st every year is the most exciting time of the year for everybody, and the number of tourists that travel on that day increases double or even triple . But, the challenge for local people and international tourists is where to go relax and celebrate the most important start of the year? Have a look at these amazing photos of the blueness of the sea and the sky at Koh Rong Sanloem, an island off the coast of Sihanouk peninsula in Cambodia. Kong Rong Sanloem is around 9 kilometers long (north to south), 4 kilometers wide (east to west) and 1 kilometer wide at its narrowest point. 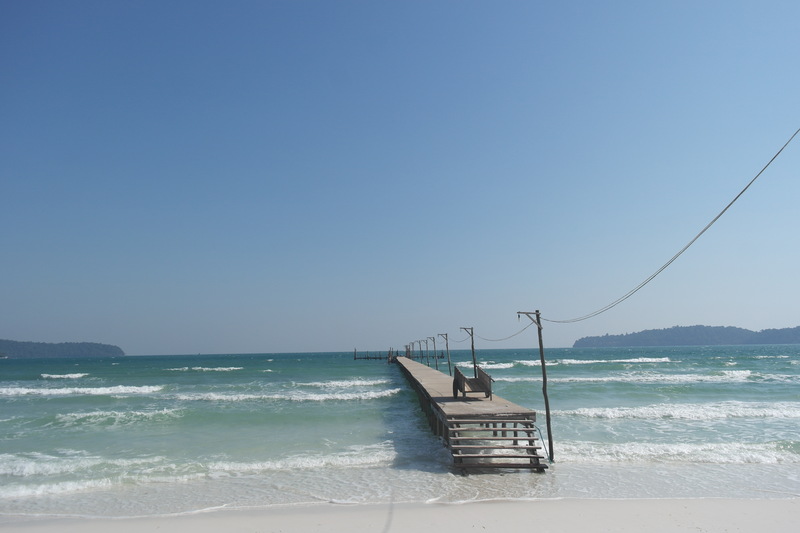 Its distance from the local port of Sihanoukville is 25 kilometers and 23 kilometers from the Serendipity/Ochheuteal beach pier. In Khmer language, the word “Sanloem” translates to: (1) drowsiness, and to (2) far out and hard to discern, in a wider sense. 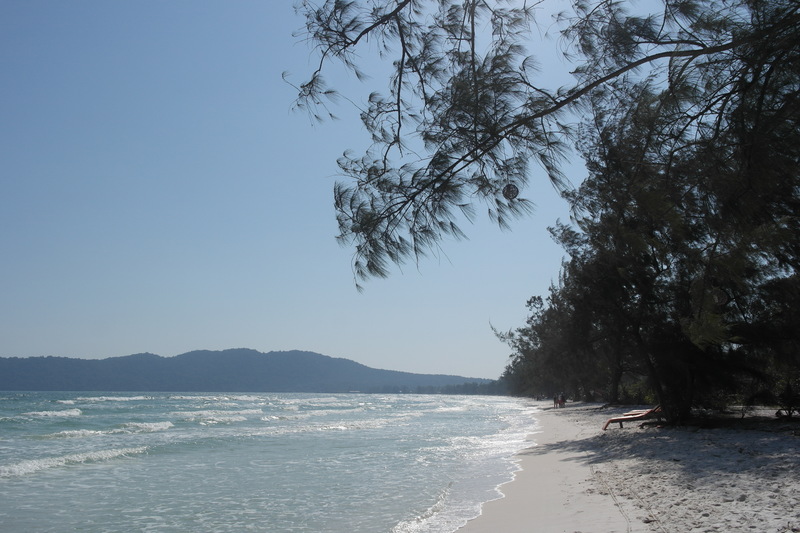 Cambodia’s beaches are very well-known to both local and foreign tourists for being beautiful and still being unspoilt. Where in Cambodia can you find all those beaches? 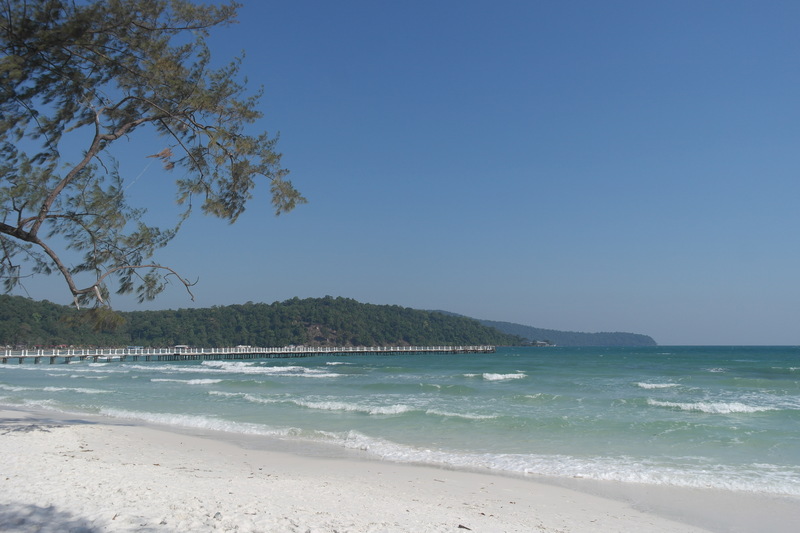 Preah Sihanouk province is located the south-west of Cambodia at the Gulf of Thailand. Considered as the country’s premier tourist destination, it is also a deep-water port city which is steadily growing and diversifying urban centre located on an elevated peninsula. Remember to take a long dip into the crystal clear blue sea! 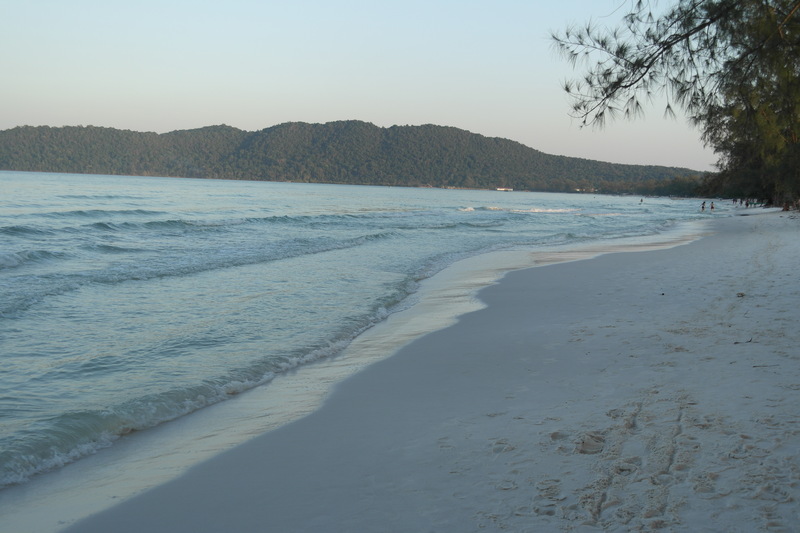 These white sand beaches are still very clean and untouched because Kong Rong has tried to promote cleanliness among tourists that visit the island every year. Kong Rong Sanloem is not short of places to stay. The guest houses have a wide range of prices, but of course you can find a place that could cost you from 15 USD a night to more. However, that seems pretty rare now. 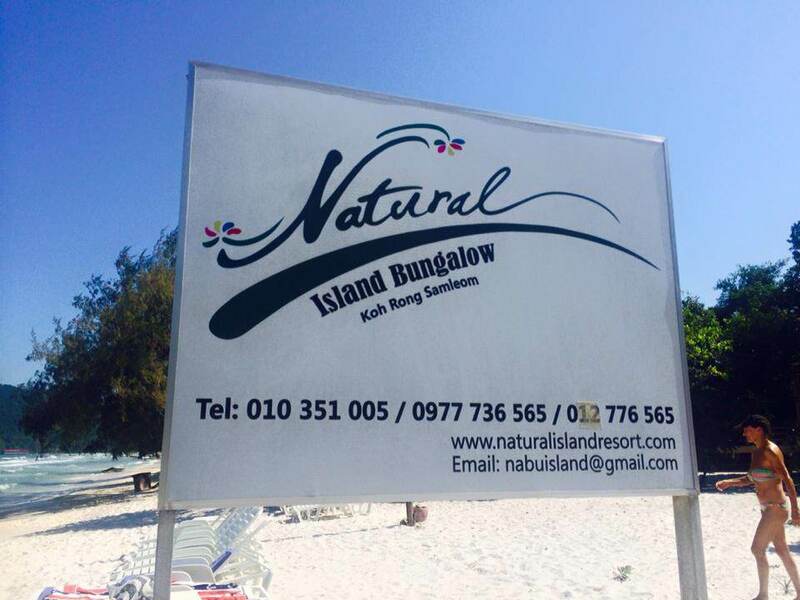 Bungalows are usually preferred by tourists when they visit the island. How many times have you seen the sky as blue as this? At night and in the morning, the air is crisp and clean. 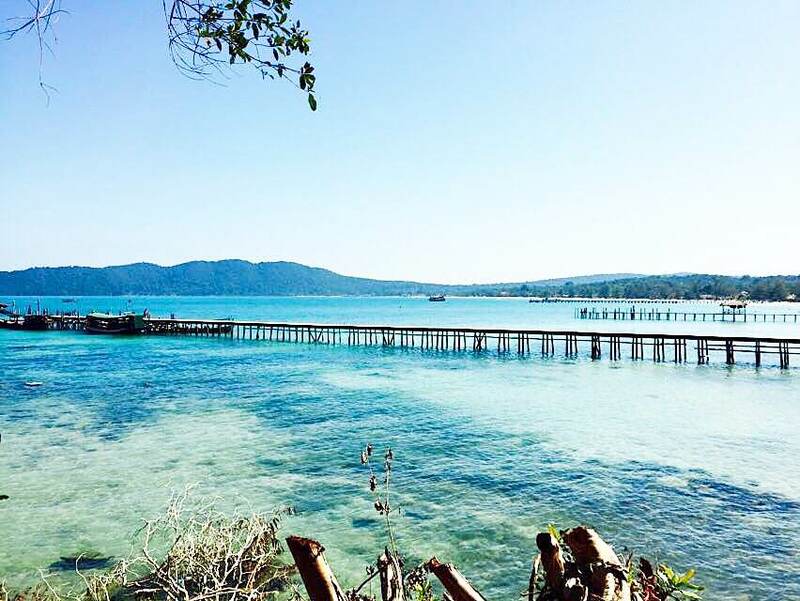 For city dwellers that think that having clean air is a privilege, you worry no more, because this island is just about two hours from the coast of Sihanouk province which is just about 4 hours by car from Phnom Penh. 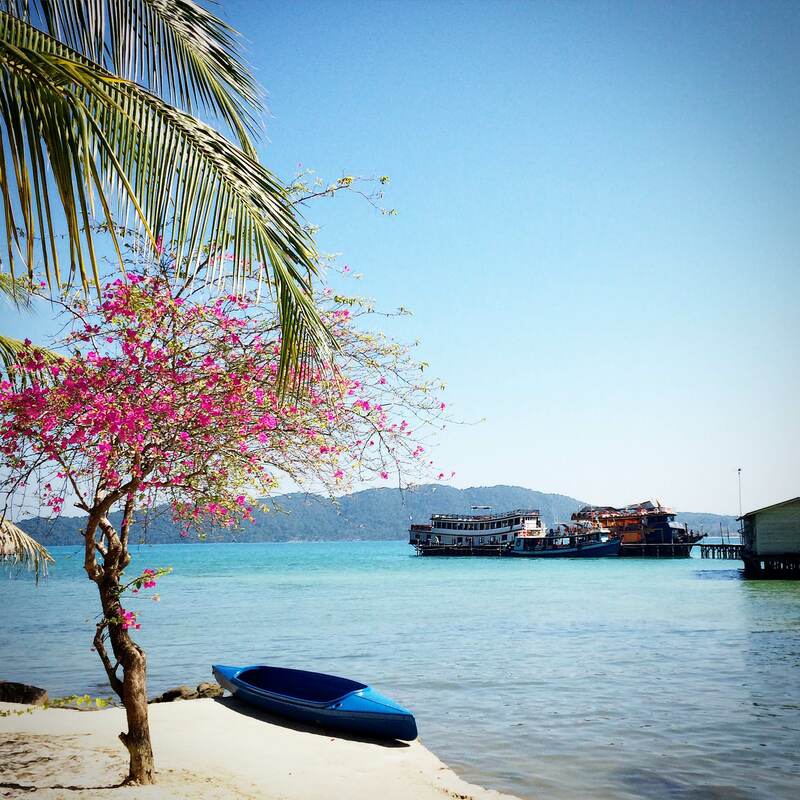 Considering to come to Koh Rong Sanloem once before 2017 begins? In general, in the middle of November, the sea become so blue, calm, and relaxing that many tourists would just like to take a swim along the beach. 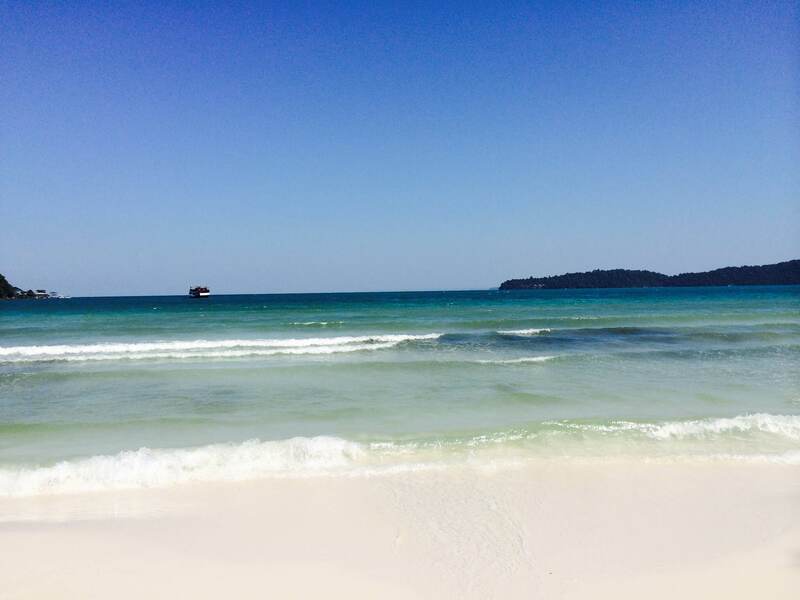 Most of the tourists, before coming to Koh Rong Sanloem, must stop at Sihanouk province. They have to buy a ferry ticket from Sweet Ferry which is the only (monopoly) agency that provides ferry services with air conditioning from Sihanouk province to Koh Rong Sanloem. Usually, the catamaran passenger ferry leaves in the morning. 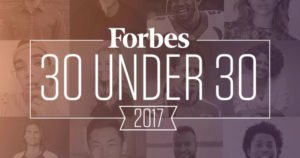 Many people probably ask this question: how much does it cost? Return tickets cost 20 USD or a bit more (now). 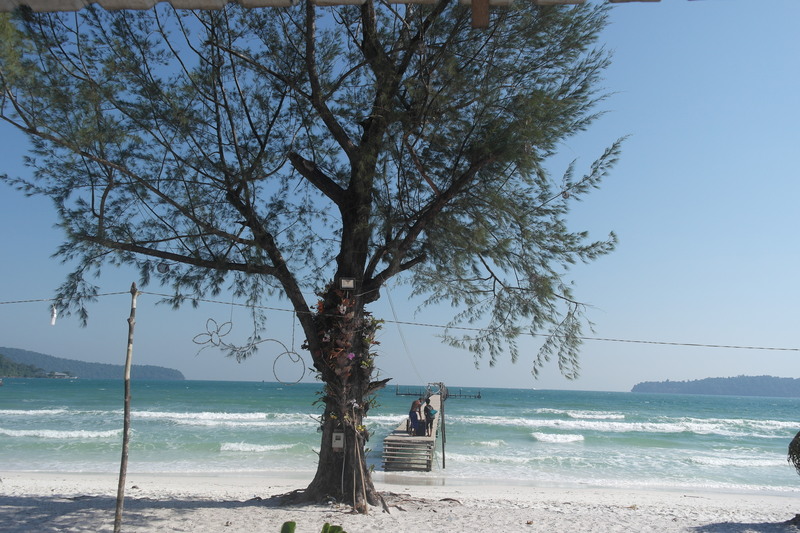 The dock of Sweet Ferry is located at Koh Rong Sanloem, and it has an office inside Freedom Guesthouse. So, if you need to purchase a return ticket from Kong Rong Sanloem back to the coast, you would need a stamp from the agency when you get to the island. 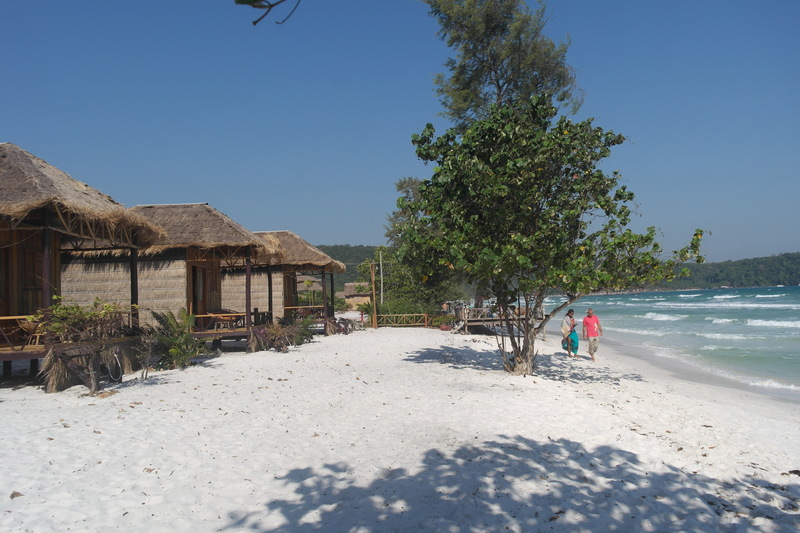 There are plenty of bungalows on Koh Rong Sanloem! ចូលឆ្នាំសកលគឺជារដូវការដ៏មមាញឹករបស់ទេសចរនិងការជ្រើសរើសកន្លែងកំសាន្ត។ សូមក្រលេកមើល ទិដ្ឋភាព ដ័ស្រស់ត្រកាលនៃ ឆ្នេរសមុទ្រ របស់ កោះរុងសន្លឹម បន្តិចទៅមើល! ឆ្នេរសមុទ្រកម្ពុជាជាតំបន់ទេសចរដ៏មានប្រជាប្រិយភាពបំផុតសំរាប់ទេសចរក្នុងស្រុកនិងបរទេស។ ខេត្តព្រះសីហនុជាតំបន់ប្រជុំកោះ មានកោះជាច្រើនមានទេសភាពស្រស់ស្អាត និងទាក់ទាញភ្ញៀវទេសចរមកលេងកំសាន្ត ឆ្នេរកោះរុងសន្លឹមគឺជាកោះដ៏ស្រស់ស្អាត ខៀវស្រងាត់ និងជាទីកំសាន្តលំហែរកាយរបស់អ្នកទេសចរ។ គេឃើញមាន ផ្ទះខ្ទមជាច្រើនសាងសង់ឡើងសំរាប់ ភ្ញៀងទេសចរណ៏ ដែលមកលេងកំសាន្ត ហើយ មានប្រជាជនខ្មែរជាច្រើន ដែលកំពុងពិចារណាមកលេងកោះរុងសន្លឹមនេះអោយបានម្តង! BookMeBus is one of our affiliates. Each bus ticket purchased through links on When In Phnom Penh to BookMeBus generates affiliate sales for us. Somaly likes travelling and giving honest opinions about tourist places in Cambodia. She knows the best eateries which the local like frequenting. In her free time, Somaly likes hanging out with her good friends and having a good laugh about things. Looks amazing! I really wanted to visit here, but my companion refused to take me ? We hope you get to go there next time!